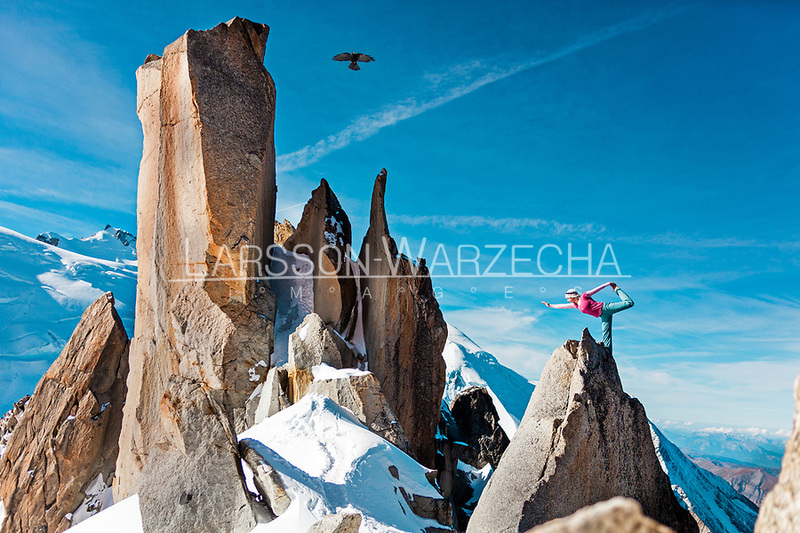 Martina Cufar practicing yoga high in the Alps with an Alpine Choughs (Pyrrhocorax graculus) flying above her head. Restrictions: All Rights Reserved. WRITTEN PERMISSION FOR USAGE, WITH AGREEMENT ON RATES, MUST BE OBTAINED FROM 'LWimages - Photographs by LUKASZ WARZECHA' PRIOR TO PUBLICATION. ANY UNAUTHORIZED USE IS A VIOLATION OF COPYRIGHT AND SUBJECT TO PENALTIES. Sample low-res files are for examination only.